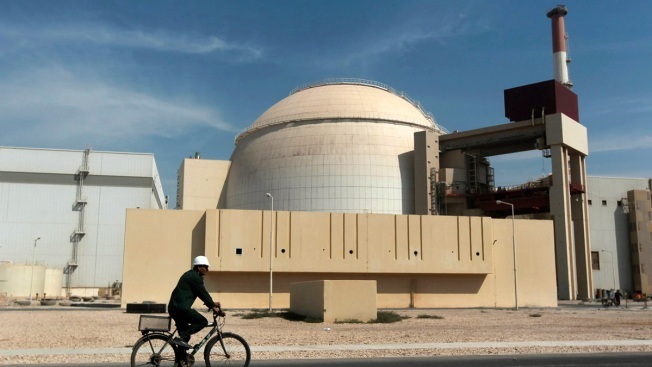 In this Oct. 26, 2010 file photograph, a worker rides a bicycle in front of the reactor building of the Bushehr nuclear power plant, just outside the southern city of Bushehr. Iran's deputy foreign minister said Thursday, Jan 31, 2019, that he believes European Union nations soon will announce they've created a program for Iran to continue trade there and avoid re-imposed U.S. sanctions over its nuclear program. Three European countries working to preserve a deal that was meant to prevent Iran from obtaining a nuclear weapon have established a new system so their companies can continue trading with the Mideast nation without incurring U.S. sanctions, diplomats said Thursday. The barter-type system set up by France, Germany and Britain is designed to allow businesses they host to skirt direct financial transactions with Iran and thereby evade possible U.S. sanctions, setting up a potential collision with President Donald Trump's hard-line policies on Tehran. Once the process is up and running, a financial institution, known as an "Instrument in Support of Trade Exchanges" or INSTEX, would run a payment channel, brokering Iranian imports in and European exports out, while insulating the companies involved. The nations have been working on the plan for months. It follows Trump's decision last year to unilaterally withdraw from the international accord aimed at preventing Tehran from developing nuclear weapons in exchange for economic incentives. His administration also has introduced sanctions on Iran. The other parties to the 2015 treaty — France, Britain, Germany, Russia and China — have been scrambling to keep the deal alive. In recent months, Iranian officials have threatened to resume higher levels of uranium enrichment, putting pressure on the Europeans to find a way around the sanctions. "We're making clear that we didn't just talk about keeping the nuclear deal with Iran alive, but now we're creating a possibility to conduct business transactions," German Foreign Minister Heiko Maas told reporters Thursday after a meeting with European counterparts in Bucharest, Romania. "This is a precondition for us to meet the obligations we entered into in order to demand from Iran that it doesn't begin military uranium enrichment," Heiko said. INSTEX is to be headquartered in Paris and overseen by a German banker. At the outset, it will concentrate on goods that are not currently subject to U.S. sanctions, such as medicine, medical supplies, food and consumer goods. When the U.S. stepped up sanctions, many of Europe's biggest companies shut off all commerce with Iran, exercising an abundance of caution. The governments of Germany, France and Britain hope the workaround will lure back some trade of non-sanctioned goods, though it's not clear if companies would try to do business through the new state-run system and risk possible U.S. retribution down the road. 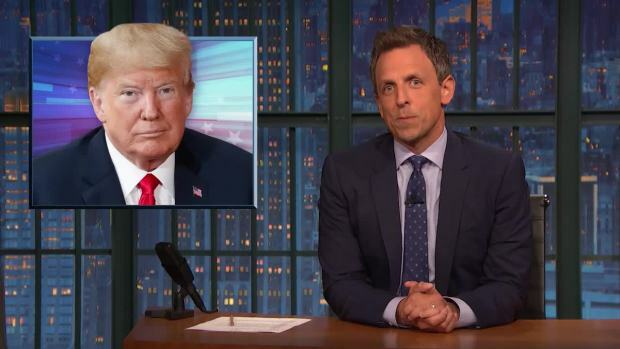 Seth Meyers takes a closer look at President Donald Trump once again accusing the FBI of "spying" on him while it turns out his own lawyer was, in fact, spying on him. Stefan Mair, a board member of the influential Federation of German Industries, welcomed the establishment of the financial institution, but expressed skepticism about how effective it might be. 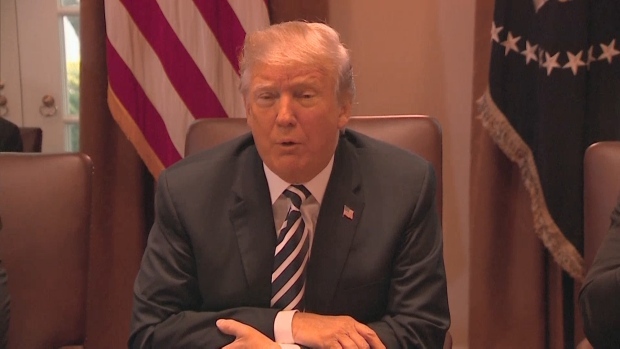 "Central questions remain open," he said. "The clearing house is dependent on Iran's sanctioned oil and gas business. This continues to pose a significant risk to building long-term business relations." The U.S. State Department said it was "closely following" reports on the European mechanism, which originally was known as a "special purpose vehicle," for details about exactly what would be involved. "As the president has made clear, entities that continue to engage in sanctionable activity involving Iran risk severe consequences that could include losing access to the U.S. financial system and the ability to do business with the United States or U.S. companies," the State Department said in a statement. Though established by Britain, Germany and France, other European Union nations were expected to join as well. Belgian Foreign Minister Didier Reynders said the EU wanted to continue to support the nuclear deal. "The most important thing is to show our American colleagues that we are moving in the same direction on a whole series of issues, such as ballistic missiles or Iran's regional influence, but that we do have a difference of opinion on the nuclear agreement," Reynders said. "I hope we can also find a solution." Iranian Deputy Foreign Minister Abbas Araghchi told Iran's state television he expected the mechanism to be ready to start brokering business in one or two months. "The next issue is how European companies are willing to join SPV with this mechanism," he said. Iran's ambassador to the United Kingdom, Hamid Baeidinejad, said on Twitter he also thinks the start of the program was imminent. Frank Jordans, Jon Gambrell and Matthew Lee contributed to this report.